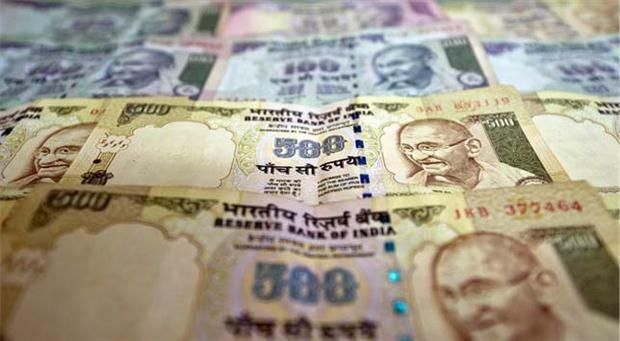 The Indian Rupee continued its fall reaching the 54 mark against the dollar. It opened at 54.20 against the dollar, which is an all time low. Currently it is trading at 54.23. This is the fourth day of declines for the rupee. The rupee had closed at 53.71 to the dollar yesterday, a record low for the currency. "The rupee is weakening much faster than the Euro overseas. What that means is there is something else going on. That is what the RBI needs to try to arrest," Jamal Mecklai, CEO, Mecklai Financials said. Sustained foreign fund capital outflows in view of the fall in the equity market, coupled with a stronger dollar in global markets, mainly affected the rupee value against the American currency, a forex dealer said. Some traders expect the central bank to step into the market. The RBI governor and finance minister had met Prime Mninster Manmohan Singh yesterday and discussed the causes of rupee weakness and possible policy measures. The central bank is slated to come out with a note on rupee, when it meets for its mid-quarterly review on Friday. 0 Response to "Rupee hits all time low"